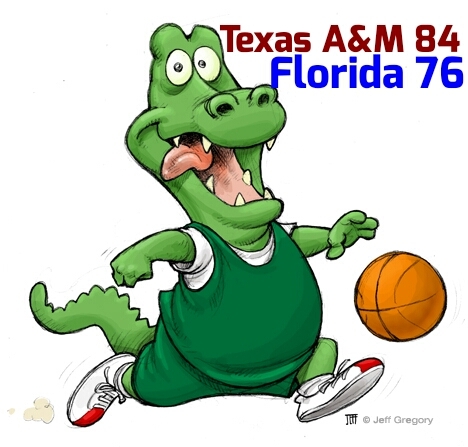 COLLEGE STATION, TX- Florida’s women’s basketball team fell to the Texas A&M Aggies 84-76 on Thursday night in a SEC match. Freshman Delicia Washington led all scorers with 25 points. Fellow freshman Syndey Morang scored 12 points and junior Haley Lorenzen added 11 points for Florida. Senior Ronni Williams scored 9 points and added 9 rebounds in her first game following her 43-point output against Vanderbilt. Texas A&M was led by their starting unit as all five starters scored double-digit points. Khaalia Hillsman led the Aggies with 24 points. Florida falls to 2-7 in SEC play and 11-11 overall. Texas A&M remains two games back in the SEC race at 6-3. The Aggies improved to 16-6 overall.